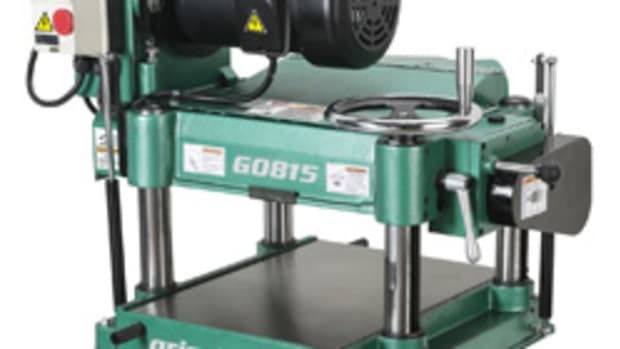 Grizzly Industrial&apos;s revamped jointer line introduces spiral cutterheads for its 12" and 16" models, handwheels for table adjustment on its 8" jointer, a new 6" cabinet model, and a new 4" bench-top unit. The 12" and 16" Z-Series jointers use spiral cutterheads, with small solid-carbide inserts with four cutting edges. "Each insert is indexable in four positions, so you can use all four cutting edges," said Grizzly&apos;s Bill Crofutt. "There&apos;s a small insert mark you use as a reference, so you just rotate it 90 degrees â€” normally all in the same direction â€” and you have a new cutting edge." 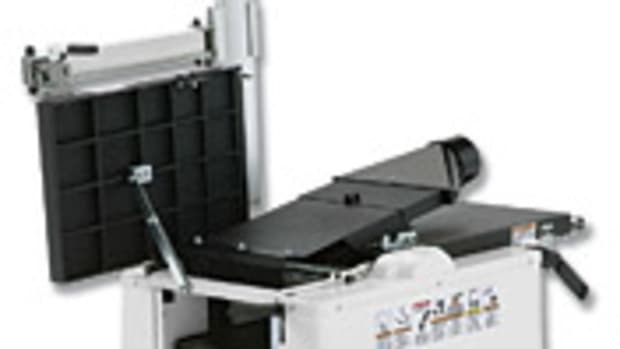 The spiral cutterhead design provides an additional benefit to the 12" and 16" machines. "The knife never leaves the wood; it is always cutting," Crofutt said. "So it has a completely unique sound; it&apos;s much quieter." 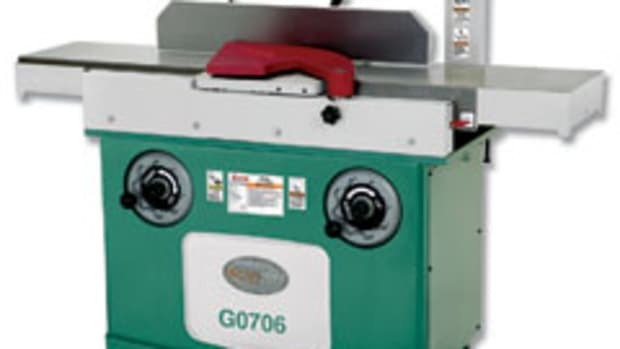 The 16" jointer has four spiral cutterhead knives and a table size of 16-1/2" x 99-1/2", and has been targeted to a particular market, according to Crofutt. "A lot of the people who work with exotics that are twirly and twisty, and want to use one board to use as a part of a guitar, or things that just have to have a wide planer, they&apos;ll use the 16"," he said. 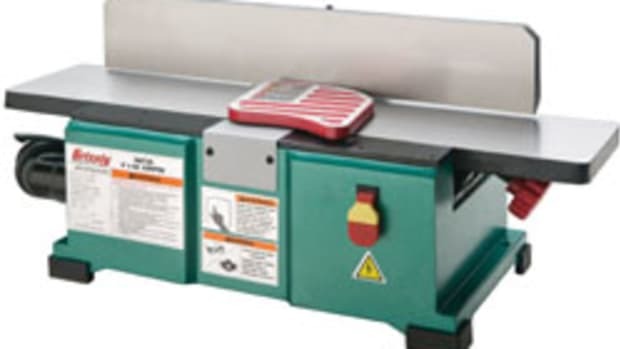 The 12" jointer has three spiral cutterhead knives and a table size of 12-1/2" x 80". 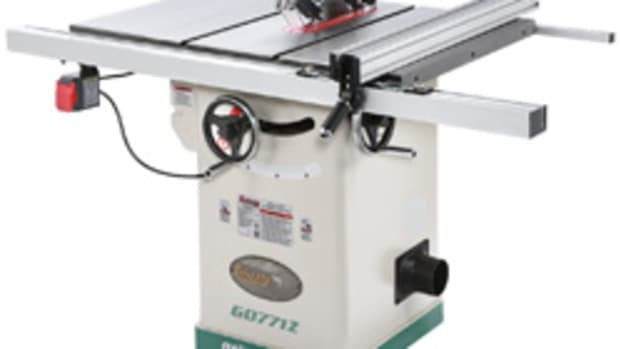 Both the 12" and 16" jointers operate on a 3-hp, 220-volt, 17-amp motor. The jointers are available with or without the spiral cutterhead. The spiral option isn&apos;t offered in the 14" machine, which has three cutterhead knives. 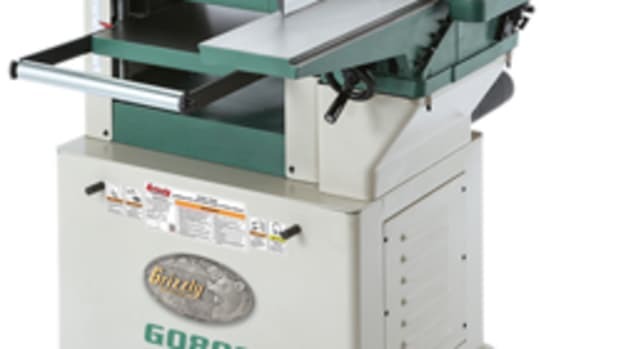 Grizzly has added handwheels for infeed and outfeed table adjustment to its 8" jointer. 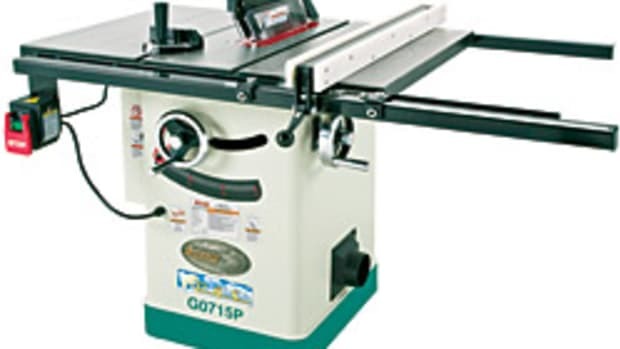 The 65"-long model has a three-knife cutterhead and is powered by a 1-1/2-hp, 220-volt motor. 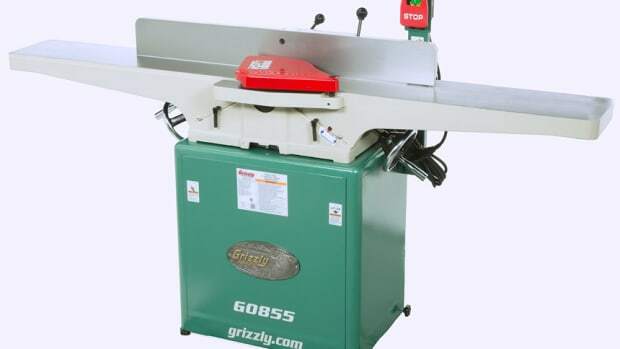 The Grizzly 6" x 47" jointer is powered by a 1-hp, 110/220-volt motor, and is offered with a choice of handwheels or levers for table adjustment. Crofutt said users of the 6" jointer requested that an improvement be made to the machine which was released a year ago. "We had the 6" handwheel jointer last year, but people said they wanted a better cabinet. We only offered it with a sheet metal stand that you assembled yourself. This new model has a welded, box-type cabinet. 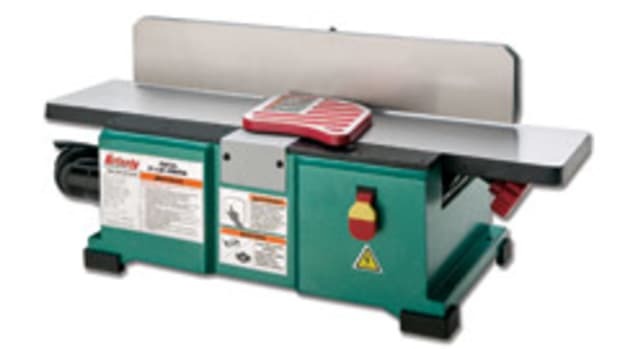 A 4" bench-top jointer with two high-speed steel cutterhead knives rounds out the line. The unit has a 1/2-hp, 110-volt motor with a cutting depth of 5/64". The 8", 12" and 16" jointers have a magnetic switch with thermal overload protection, and all jointers operate on single-phase power.